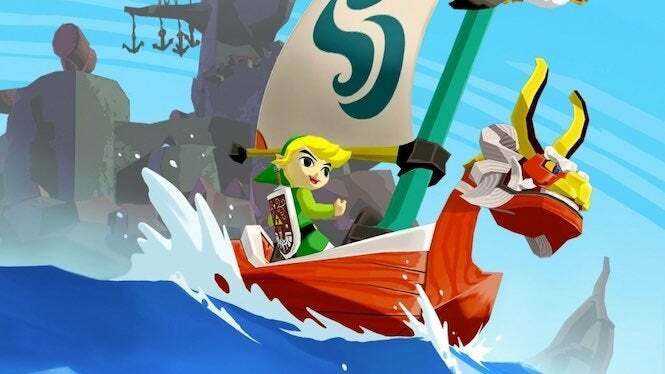 While The Legend of Zelda: Wind Waker may not look like a routine adventure in the series, many fans have grown to love its cel-shaded animation style and brilliant adventure. And it’s become a cult classic over the past few years, even getting an HD release for the Wii U. But there’s an interesting note behind the game’s art style, as we’ve learned from animation guru Yoichi Kotabe. While speaking with Famitsu (through translation via French company Pix n Love on Twitter), he noted that he worked with Toei for many years before joining up with Nintendo. At that time, he worked on Wind Waker and found some very interesting inspiration. Based on the tweet, which you can actually see below, he compared his work on the game to Wanpaku Oji no Orochi Taiji, an anime movie that was released by Toho way back in 1965 -- something else he also applied his work to. As you can see from the images in the tweet below, it’s easy to see the similarities between the two, with the character design and some of the colors utilized. Granted, Zelda looks a little more clean, but keep in mind we’re comparing products between the 60’s and far later than that. “In the last Famitsu, Kotabe Youichi returns to his career at Nintendo and gives an interesting anecdote about #Zelda Wind Waker! The anime film Wanpaku Oji no Orochi Taiji of Toei studio would have greatly influenced the DA of the game! Watching the film is blatant!” the company noted in a loose translation of the tweet. Dans le dernier Famitsu, Kotabe Youichi revient sur sa carrière chez Nintendo et donne une anecdote intéressante sur #Zelda Wind Waker ! ? Le film « Wanpaku Ouji no Orochi Taiji » du studio Toei aurait énormément influencé la DA du jeu ! It really is interesting to find the inspiration for such a legendary game, and you can see the extent of Youichi’s work even in these single frames. For that matter, we’ll probably need to hunt down a copy of the film just to see how deep the contrast goes. In the meantime, you can watch the trailer for the movie below. It looks pretty fascinating, to say the least. The Legend of Zelda: Wind Waker is available now for Wii U and Nintendo GameCube.